Solid boulder opal pendant on a waxed cotton cord tied with slip knots to adjust the length to suit you. 25mm long x 25mm wide. Solid boulder opal pendant on a waxed cotton cord tied with slip knots to adjust the length to suit you. 22mm long x 15mm wide. Solid boulder opal pendant on a waxed cotton cord tied with slip knots to adjust the length to suit you. 18mm long x 14mm wide. 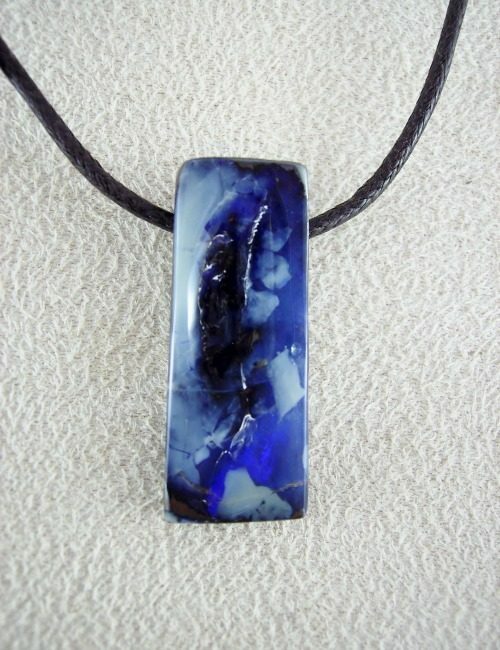 Solid boulder opal pendant on a waxed cotton cord tied with slip knots to adjust the length to suit you. 16mm long x 14mm wide. Solid boulder opal pendant on a waxed cotton cord tied with slip knots to adjust the length to suit you. 20mm long x 12mm wide. Solid boulder opal pendant on a waxed cotton cord tied with slip knots to adjust the length to suit you. 22mm long x 12mm wide. Solid boulder opal pendant on a waxed cotton cord tied with slip knots to adjust the length to suit you. 34mm long x 12mm wide. Solid boulder opal pendant on a waxed cotton cord tied with slip knots to adjust the length to suit you. 20mm long x 20mm wide. Solid boulder opal pendant on a waxed cotton cord tied with slip knots to adjust the length to suit you. 26mm long x 16mm wide. Solid boulder opal pendant on a waxed cotton cord tied with slip knots to adjust the length to suit you. 29mm long x 11mm wide. Solid boulder opal pendant on a waxed cotton cord tied with slip knots to adjust the length to suit you. 45mm long x 22mm wide. Solid boulder opal pendant on a waxed cotton cord tied with slip knots to adjust the length to suit you. 20mm long x 19mm wide. Solid boulder opal pendant on a waxed cotton cord tied with slip knots to adjust the length to suit you. 23mm long x 15mm wide. Solid boulder opal pendant on a waxed cotton cord tied with slip knots to adjust the length to suit you. 30mm long x 20mm wide. 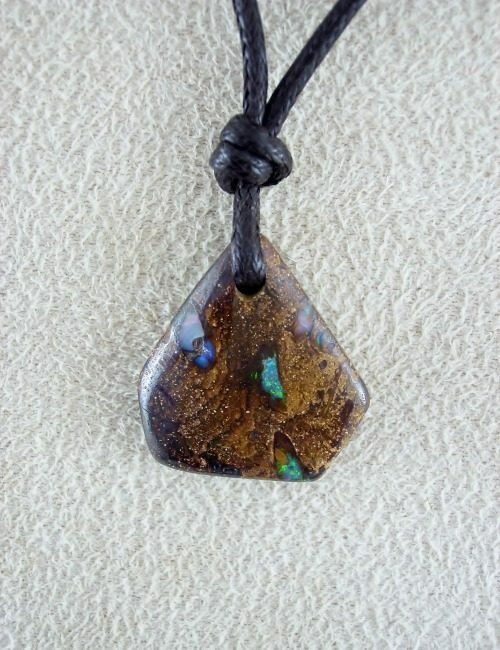 Solid boulder opal pendant on a waxed cotton cord tied with slip knots to adjust the length to suit you. 20mm long x 21mm wide.